Manila Ocean Park is the city's premiere marine-themed park offering more than the usual dolphin shows and shark encounters. Yes, you get this too, but you also get to see exhibits of the various creatures that thrive in the sea. Located just behind the Quirino Grandstand in Luneta, it is open year-round and is suitable for people of all, especially the kids. Besides a bevy of marine-centred attractions, the park is also conveniently located right next to the scenic Manila Bay, with plenty of hotels and dining places nearby. 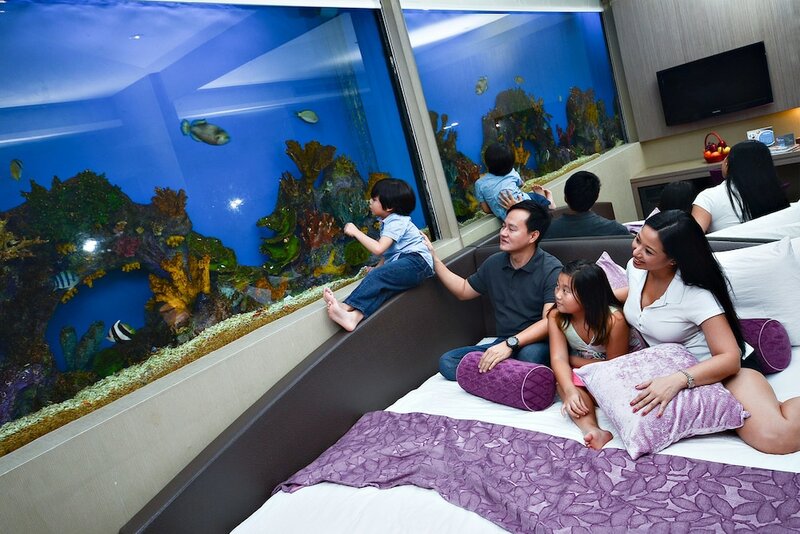 Manila Ocean Park's main draw is its 25-metre glass observation tunnel which makes a great alternative to view undeerwater life if you're not too keen on diving. It’s a great opportunity to see stingrays "flying" overhead, as well as sharks, eels, and other varieties of fish. Going into the oceanarium, you'll see aquariums that hold a number of freshwater species, including the popular arapaima, a native of the Amazon River. They are huge! The Manila Ocean Park also offers other exciting experiences such as a chance to slip on a mermaid suit, brave the cold to see the penguins, a very enthusiastic sea lion and bird shows, caged creepy crawlies, and even a 4-D ride. The jellyfish exhibit offers some great photo opportunities. Depending on what catches your interest, you can purchase a ticket that covers only a certain exhibit or get an all-inclusive pass for PHP995. Don't forget to stick around after your visit for the fireworks display during the symphony evening show!